Love spring, but hate all that heavy lifting in the garden? Tell us about it! 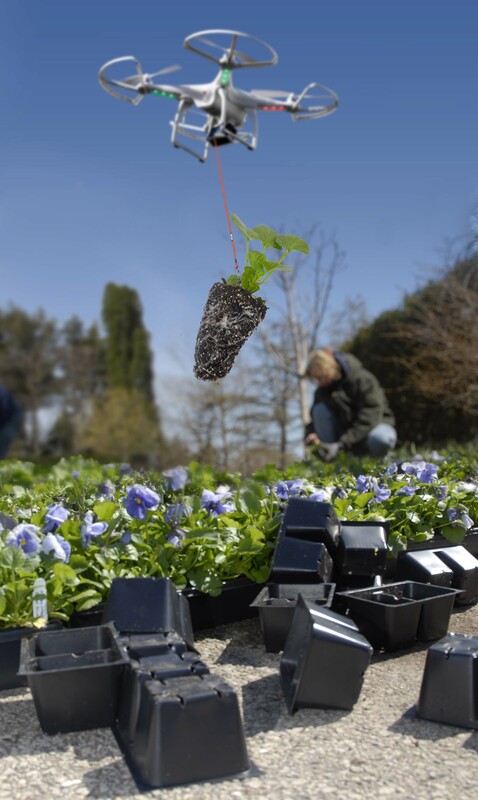 That’s why we developed the PlantDropter™, our new remote control planting assistant. We tell it which plant we want to move, program the coordinates for a particular garden, and it does the carrying for us! Staff is raving about the ability to travel “as the crow flies.” With 250,000 plants to put in this year, you can imagine the efficiency of the PlantDropter™! The only issue so far: it drops just one plant at a time. That’s one down and 249,999 to go. We’ll keep you posted. Posted on April 1, 2015 March 31, 2015 Author Karen Z.Categories BonsaiTags april 1, april fool's day, April Fools, bonsai, chia petLeave a comment on Easiest. Bonsai. Ever.